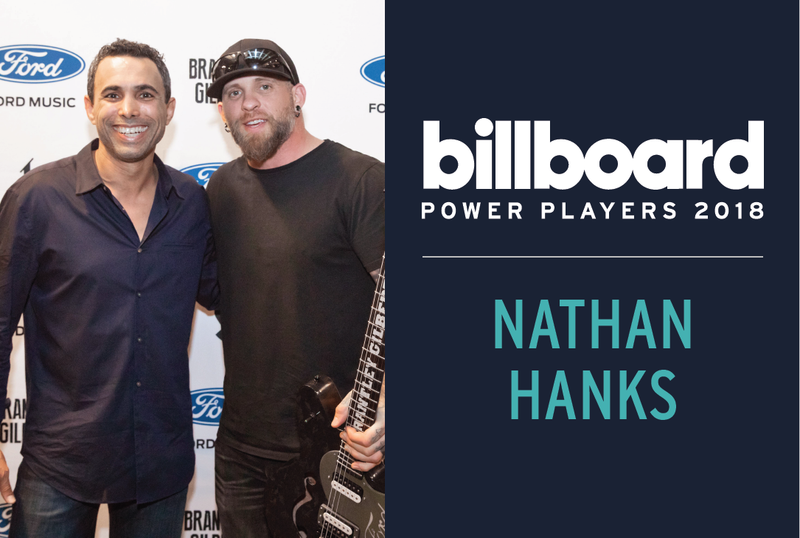 We're thrilled to announce that our CEO and Founder, Nathan Hanks was named as one of Billboard's Branding Power Players. The men and women on this list are masterful at linking brands and artists - for the benefit of both. Q: What does being named one of Billboard’s Branding Power Players mean to you? A: It is always an honor to be recognized by Billboard. This was a big win for us as a company, it shows that the music industry is embracing marketing technology. I hope that wins like this encourage other technological innovators to enter the space because there are so many opportunities to make music work better for both marketers and the fans. Q: What has been your biggest accomplishment as a company in 2018? A: So far, 2018 has been an incredible year for MAX. At the beginning of this year, we celebrated a number of benchmarks such as our 300th campaign and having created 1 billion music moments for fans. We also launched our latest major innovation, MAX's Artist Matching Engine™ in February of this year. It is the result of a three year project from a team of a dozen engineers and data scientists. Driven by a wealth of first party and aggregated data, this system combines a proprietary genre taxonomy with insight into the demographic, psychographic, geographic, and behavioral attributes of the fanbases of over 1.8 million artists worldwide. Q: What’s the biggest issue that the music industry faces in 2018? A: Well I can tell you about the one we're taking on. Marketers are spending billions of dollars, yet struggling, to engage target audiences who have become immune to certain ad formats, especially programmatic display. Music offers an incredible way to reach people in a personalized way through their #1 passion point. But music hasn't been organized properly for marketers in the way that sports has, which is why sports attracts 9x more money from marketers. The key in music? Organize the marketing ecosystem around artists and their managers who are constantly challenged to find promotional opportunities for their singles, album releases, and tours. We think we're providing a new way, and are rapidly building technology infrastructure to connect all brands/agencies, artists, and music-related media to scale the brand-artist partnerships of the future. BONUS: Check out our fan experience video featuring Brantley Gilbert in partnership with Ford Music for Truck Month 2018. Online ads are lucky if they get a 2 percent audience engagement, says Hanks, who co-founded Music Audience Exchange (MAX) in 2014 with business partner Carlos Diaz. In the past year, MAX delivered 12 percent engagement across 500 million advertising impressions for brands including Coors Light, Ford, McDonald’s and Dr Pepper. MAX’s proprietary platform matches brands with emerging artists and creates customized content across multiple channels: streaming, social, video and live. “New models need to ... enhance, not interrupt, the fan experience,” says Hanks. Want to see Billboard's full list of 2018 Branding Power Players?